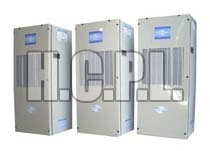 We bring forth high performing Panel Cooler that is highly acclaimed in the market. We have carved a niche for ourselves in Wholesale CNC Panel Cooler Business. 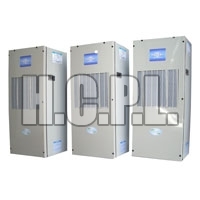 Cabinet Panel Cooler with vapor compression refrigeration system is commonly used to control humidity, temperature and cleanliness inside Control Panel of Various machines. Our Panel Coolers are designed as per the international quality and norms from the best quality raw materials available in the market. 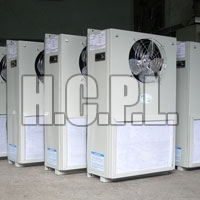 Apart from that, we are identified as a prime Cabinet Panel Cooler Manufacturer based in India. 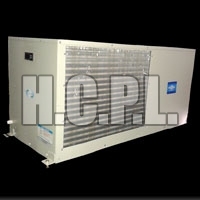 Panel Cooler with Vapour Compression Refrigeration Cycle is used to maintain the Temperature and Humidity of Control Panel of various machines.On customer request,our specially designed Drainless Panel Cooler can be provided. 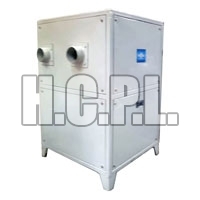 Operating Temperature : These units are designed to operate in wide range of ambient temperature i.e. From 8oC to 42oC to maintain Inside Panel temperature within 24oC to 36oC range. Sheet Metal Body : Made out of aluminium sheet coated with anti corrosive Plastic coated Vinyl Film/Weather Proof Paint. Temperature Conroller : Digital Temperature controller with High & Low Temperature Alarm with tamper proof keypad lock. Condensor & Cooling Coil : Specially Designed for high ambient temperature in imported high quality inner grooved copper tube. Cool Air Circulation : Blower is used(except 350kcal/hr) to circulate cool air for uniform cooling of panel, These blowers with ball bearing and thermister for window protection are designed for continuous duty cycle. Blower is used (except 350kcal/hr) to circulate cool air for uniform cooling of panel. These blower with ball bearing ,thermistor for winding protection are designed to work at continuous duty cycle. Due to continuous product innovation specification may change without prior notice. 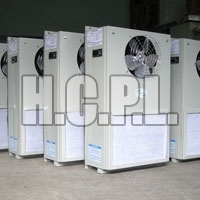 Capacity based on conditions : Evaporating 7.2oC condensing temperature 54oC & ambient temperature 38oC. Note : Due to continuous product innovation specification may change wihout prior notice. 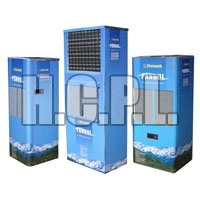 *Capacity & Power Consumptio based on conditions : Evaporating temperature - 7.2oC, Condensing temperture - 54oC and Ambient Temperature 38oC. © Copyright 2009 - 2010. Herambh Coolingz Pvt. Ltd.